An open-air stage unrivaled to none. An Alpine realm of arts. Both unobtrusive and inspiring. 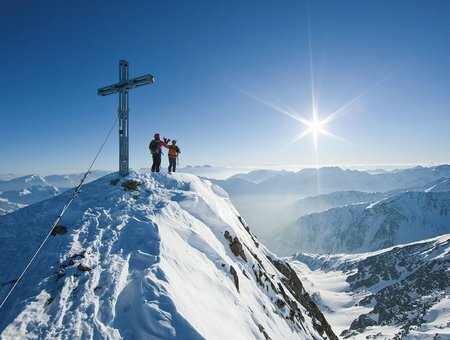 Indulge in Ötztal's picture-book Alpine scenery. Discover pure nature: untouched winter landscapes, bizarre rocks, glacier-topped peaks, well-groomed Nordic ski tracks and fun-filled toboggan adventures. Experience awesome peak conquests and highly enjoyable winter walking trails. APARTMENTS IN SÖLDEN – THE HOT SPOT IN THE ALPS. A PARADISE FOR WINTER SPORT AFICIONADOS. 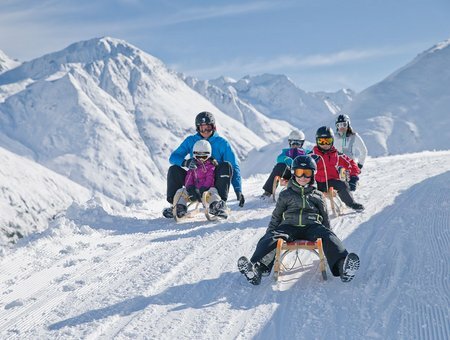 As an Alpine Ski World Cup Venue, Sölden in Ötztal ranks among the Alps' most popular winter sport destinations for beginners, advanced and real pros. Choose from a huge range of immaculate ski runs for all abilities, served by 33 state-of-the-art mountain lifts. The new Giggijoch feeder gondola whisks you straight into the giant Sölden ski area in only 9 minutes. Another highlight of the winter ski region are the "Golden Gate to the Glacier" lifts connecting both glacier ski mountains and the winter ski slopes - you reach the glacier at 3250 m above sea level on skis directly from Sölden's village center. What's more, Sölden is Austria's one and only ski area with three peaks higher than 3000 meters - the BIG 3 - accessible by mountain lifts and feature spectacular viewing platforms inviting to take a rest and enjoying the breathtaking panorama. Thanks to the perfect location of Aliona Apart you reach the Gaislachkogl Mountain Gondola or Giggijoch Mountain Gondola with the direct skibus shuttle that takes you right from our house to the base stations. It is free of charge for holders of a valid skipass. The skibus stop can be found just in front of our house. Therefore you reach the ski area within no time and without walking on foot while carrying your sports equipment! Do you need any ski, snowboard or other sports gear? No problem, several sport shops can be found on your way to the mountain lift terminal. Fine treats & great moments of culinary excellence await you in the spectacular James Bond "Spectre" film shooting location. Culinary peak conquest at the ice Q Gourmet Restaurant.